The portmanteau is your box of spells; the menu screen which allows you to select your spells prior to battle, by pairing ingredients with talismans. Spells made in the portmanteau are then taken into the arena with your wizard, for use in battle. 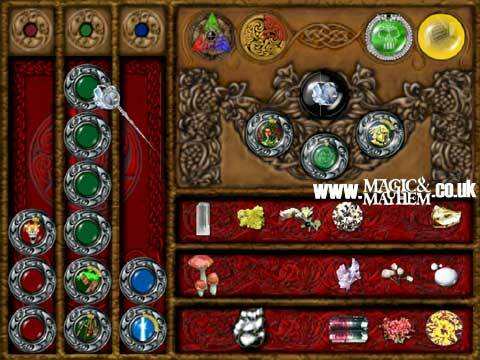 Other functionality of the portmanteau includes the possibility of altering wizard alignment and forcing talisman alignment. More information of the posible functions of the portmanteau can be found here.